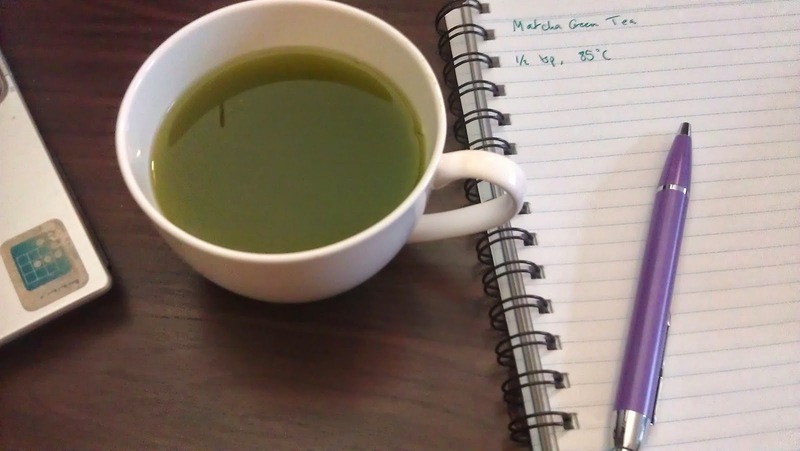 Last week I got an offer for a guest article from Alfred who's passionated about matcha green tea and its health benefits. I was always curious about green tea and its benefits, but hadn't the time to research for writing a good article about it here at my blog, so I was very pleased to recieve Alfred's mail. After reading his post I was convinced that it really is a fitting topic for my blog and that you should learn more about it as well. Tea has always been popular (in fact, only water is drank more often than tea in the world) and recently I’m sure you’ve noticed an explosion in the popularity of green tea, a magical elixir renowned for it’s innumerous health benefits. While green tea is getting popular outside of Asia, Matcha green tea, which has been the drink of choice for the Japanese for almost a thousand years, has been shown to have more than 137 times the amount of antioxidants that regular green tea has - yep you’ve read that number right! Made from grinding down the most tender and premium shade-grown green tea leaves, when you drink matcha you ingest the full tea leaf where most of the antioxidants are instead of just drinking boiled water of a regular tea. This simply means…. more antioxidants and benefits! 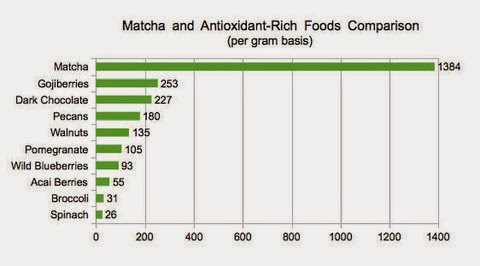 Matcha green tea is arguably the healthiest “superfood” on earth due to it’s high antioxidant levels. Compared to other “superfoods” such as goji berries and spinach, this drink blows them all out of the water when it comes to the amount of antioxidants per gram! Studies have also shown innumerous health benefits to drinking matcha green tea, from better looking to skin to an improved immunity system, it’s no wonder why the Japanese have considered it a sacred tea for so long! It’s long been held that green tea aids in weight loss and according to a study done by the American Journal of Clinical Nutrition, green tea increased the body’s rate of caloric burning by almost 4x! Unlike synthetic “fat burners” which has tons of side effects and can even be dangerous for your health, matcha green tea is a natural way to increase your metabolism as well as your body’s ability to burn fat off. Green tea has been documented to reduce signs of aging including the reduction of wrinkles and giving an overall appearance of healthier skin. The antioxidants in the tea helps stop harmful substances attacking your skin and also reduces lipid damage and inflammation which will leave your skin glowing! Be aware, however, that these benefits are in large part preventative. Drinking matcha tea will not turn back the clock but will help keep you looking younger for much longer. In a recent study, it was found that drinking green tea for more than a month helped improve cognitive learning ability and also symptoms of depression. According to the authors, “We propose that green tea would probably have the potential for normalization of anhedonia through improved reward learning and have implications for the prevention of depression. 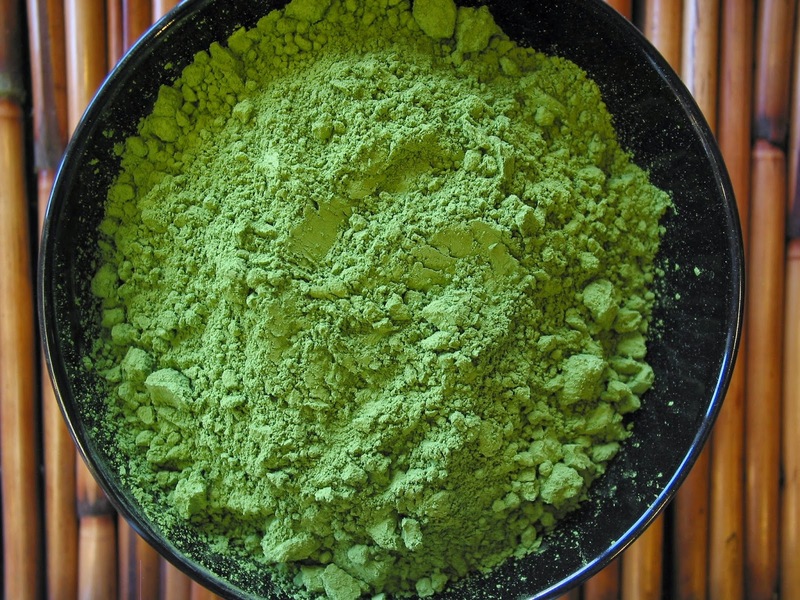 On top of that, matcha green tea has been found to be a calming agent as well as an energizer. Monks in Japan drank the tea so they could stay awake and concentrate but do it in a peaceful state during meditation. Research has now shown that the Theanine amino acid, found naturally in the teas, is the reason for this amazing combination. With all the purported health benefits of drinking this wonderful tea, it is almost a no-brainer to pick up in your daily routine. From the boost of energy (without the crash and jitters of traditional caffeinated drinks) to the load of antioxidants filled in every sip, it is no surprise why matcha green tea has been so popular and sacred to the Japanese for so long. Although not yet extremely popular outside of Japan and still a bit difficult to find, matcha can be found at large whole food retailers and online at Amazon.com or specialty tea stores like teaglad.com. Go pick some of it up and see why the tea is getting so popular! Alfred grew up drinking tea as part of his upbringing and has always enjoyed trying out all the different types of tea available in the world. After a trip to Japan and falling in love with Matcha tea there, he came home to beautiful San Francisco excited to share it with his friends and family but had an extremely difficult time finding it in the city. With his background in online marketing, Alfred finally decided to start an e-Commerce store to bring the world's tea to the front steps of everyone's' home at www.teaglad.com. I hope you liked Alfred's article and share it and its information with all of your friends (maybe while drinking a cup of matcha green tea or a green smoothie with matcha ;) ).